Over the past ten years, Trendex North America has become the recognized source of marketing intelligence for both the Canadian and Mexican retail apparel markets. In the last year Trendex has expanded its information services to include a separate focus on the entire Nafta apparel market, especially as it relates to both luxury apparel and apparel e-commerce. The company’s publications, webinars, and presentations are viewed as providing valuable insights. 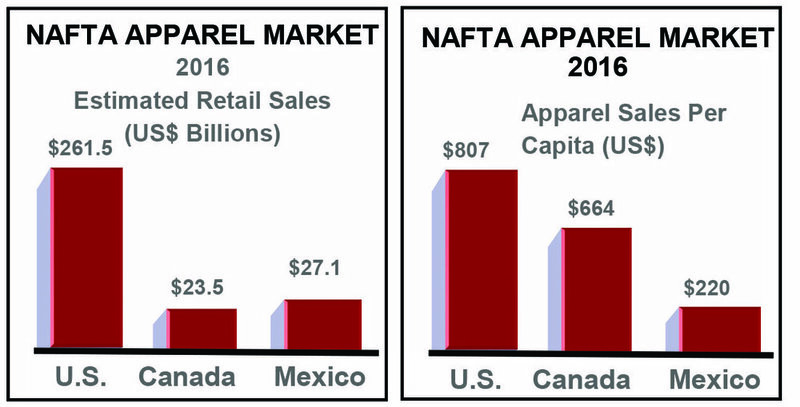 Beginning in 2018, Trendex will be sharing information through a unique program of six Nafta apparel webinars/reports.